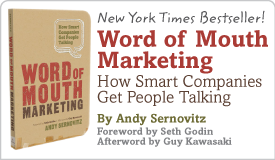 The only way to run a business | Andy Sernovitz | Damn, I Wish I'd Thought of That! Business is not about making money. It’s about making dreams come true for others and for yourself. When you make a company, you make utopia. It’s where you design your perfect world.